Juninho Pernambucano, capped 47 times by Brazil, is the most high-profile name facing punishment this week for an alleged drugs offense. The incident in question involved the player visiting his side's changing room prior to providing a sample to doctors. The World Anti-Doping Code demands that when a player is randomly selected for a drugs test they go directly to the collection room from the playing field. Juninho of Vasco da Gama, Juan of Santos and Ricardo Berna of Fluminense are all alleged to have breached the rule, with the potential punishments ranging from a warning to a two-year suspension. 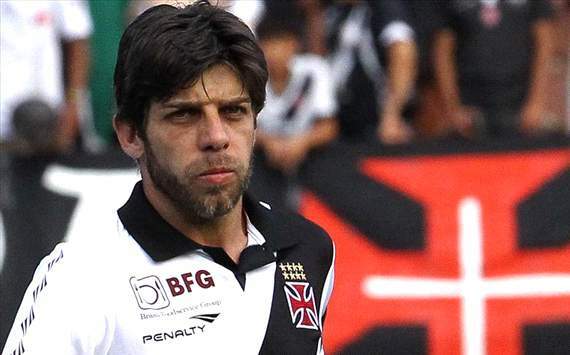 Vasco doctor Albino Pinto has defended Juninho, saying that players need to make time-saving arrangements after games to ensure their clubs are able to make their connecting flights home. "It's normal [for a player] to pick up their bag [first] to get ahead in time to go," Pinto told Globo. "It was a younger doctor that day," added Pinto, who was present in Campinas for the game against Ponte Preta on September 23, when the incident involving the free-kick specialist took place. "I found it strange because Juninho apologized and he said it was okay." The 37-year-old will be judged on Friday along with goalkeeper Berna, while Juan will be the first to be tried as his case is on the agenda of a disciplinary committee due to meet this Thursday.